In the slipstream of Lucas's THX 1138 4EB, John Carpenter and Dan O'Bannon managed a similar trick, stealing their short film, a hippie-style low-budget sendup of Kubrick's 2001, from the vaults of USC, padding it out for a feature film release. Known as little more than a distant cult classic, Dark Star was the predecessor to Alien, and a visual inspiration to both Star Wars as well as Star Trek. It started life as a student short at the hands of John Carpenter and Dan O'Bannon, but when it turned out too long for the student film circuit, Carpenter and O'Bannon, in an act worth of the annals of student film history, stole the film from the USC vaults and after rewrites and new scenes, including one with a beachball-alien, sold it as a feature-length film. In many ways Dark Star both wins and loses from its student origins. On the one hand it feels exactly as cheap as it was to make, and the padding that was added to make it go from a 45-minute student film to an 83-minute feature feel every bit as after thoughts as they were. On the other hand however, this is exactly what makes it work as a cult film. Any serious attempt at its approach seem destined to have failed. Though there would later arise some tension in the crediting between the two, Dark Star had for all intents and purposes been the brainchild of both Carpenter and O'Bannon. For Carpenter the film became the first in a long series of genre films that would put him on the map as one of the most influential genre directors of his generation, starting in earnest with Halloween and including the likes of Assault on Precinct 13, They Live and The Thing. And for O'Bannon it was the stepping stone first to Alien, which in many ways is a serious reworking of Dark Star, as well as Blue Thunder, Return of the Living Dead and Total Recall. But before any of that, O'Bannon had found himself living on the couch of his future writing partner Ronald Shusett. O'Bannon being out of both money and work after a half year stay in Paris working for Alejandro Jodorowsky on preparing the effects for the Chilean filmmaker's tanked attempt at realizing Dune. It was a grand project, legendary amongst unfinished films, which finally ground to a halt when the financing fell through right before production was to start in earnest. O'Bannon was working on the screenplay for Alien, a more serious take on Dark Star, when George Lucas reached out to him, asking him to come and work on computer screen effects for Star Wars. 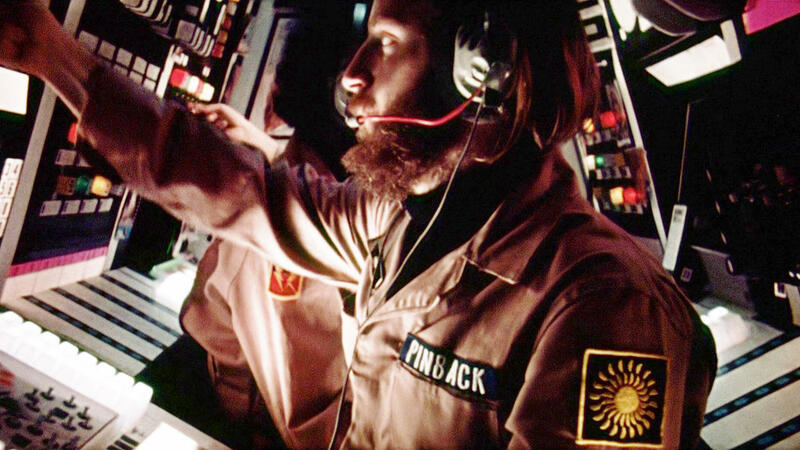 O'Bannon would work mostly on the tactical displays in the X-Wings and the like, and his fellow Dark Star colleague John C. Wash would do work on the Death Star graphics, along with Larry Cuba, who painstakingly did the 3D part of it. While Dark Star was, in the words of John Carpenter, "the least impressive feature film ever made", at the time it was certainly one of the impressive student films. It had production value the likes of which hasn't been seen since Lucas's THX 1138:4EB, 3 years earlier. They hadn't come cheap either, with O'Bannon and Carpenter thousands of dollars out of pocket. But it was also thanks to the ingenuity of O'Bannon, who had worked tirelessly on both the models of the Dark Star spaceship itself, as well as the various screen animations. When compared to other student films of the time it's easy to see the tremendous effect THX 1138:4EB must have had on, if nothing else, the ambitions for Dark Star, but also it's anything-to-make-it-work drive and certain visual elements, like for instance the readouts and computer consoles. O'Bannon himself reminisced that it was an interesting two-step that he had been inspired by THX 1138:4EB for Dark Star, and that because of his work there, Lucas hired him to come and work on screens for Star Wars. The subject of computer displays in science fiction is one that could warrant a lengthy book of its own. 2001: A Space Odyssey was far from the first science fiction film to feature computer displays, however it did it so persuasively (and stylishly) that it ended up becoming the gold standard going forward. The displays in THX 1138:4EB certainly owe to its style, as do the ones in Dark Star of course, being as it was influenced by both those films. Of course it should also be said that the constraints of technique as much as budget inevitably made displays in all of these films, as well as in Star Wars, similar to some extent simply because there's only so many ways elements could be moved and manipulated with the technology at the time. As an interesting aside, one of the display styles in Dark Star, a blinking display showing detailed blueprints of the Dark Star ship itself, framed by a U-shaped strip with various science-sounding labels down the sides and a big red NO. 5 at the bottom of it, must have crossed the desks of the people working on the displays for the Enterprise in Star Trek: The Next Generation, as it bears more than a little resemblance to their LCARS system style. And speaking of influences, the hyperspace segment of Dark Star, in which stars streak to lines. Or vice-versa, with the Dark Star itself coming to a seeming stand-still as it exists hyperspace, was a callback to 2001: A Space Odyssey's stargate sequence, in which Bowman, having finally made contact with the monolith above Jupiter, gets transported across time and space. While the streaking effect, created by leaving the shutter on the camera open as it was moved, was notably different from the slit-scan effect pioneered by Douglas Trumbull and used to great effect for 2001's acid-trip finale, it echoed the primary color's that helped make it so memorable. When it came time for the Millennium Falcon to escape the vile clutches of the Empire after blasting out of Mos Eisley, the effects department turned to the exact same streaking effect as Dark Star had used, only without the psychedelic colors. Dark Star didn't quite create the splash one could have hoped for when it was finally released in theaters. But over the years it found a faithful group of fans who appreciated its dark humor and genuine science fiction qualities, much of which ended up shaping it's direct descendant, Alien.